A cyclist has made a remarkable recovery from a serious crash that resulted in a serious brain injury, among other injuries. The accident put him into a medically induced coma for a time, and he has titanium implants throughout his face, but he has now reached a point where he can compete again. The connection between his brain and the right side of his body had been severed, but he did not accept being halfway paralyzed as his fate. Instead, he chose to work hard each and every day to heal and rebuild his body’s functioning. Eventually, he was able to ride a bike again and continued to gain strength and mobility until he reached the point where he is now, able to compete competitively. This amazing story of recovery after a serious brain injury is a great example of the potential to heal that some brain injury victims have when they are given access to physical therapy and other types of life changing treatment. It is important to note that the cyclist may not have recovered as well as he has if the doctors who had been treating him had not fully assessed his injuries right after the accident as well as identifying and evaluating possible treatments and courses of action as he recovered. Thorough assessment of brain injuries is important to a successful physical recovery, and it is also important for the recovery of monetary damages. Mississippi Brain Injury Lawyers know a lot about brain injuries and the ways in which they affect accident victims, their friends and their families. At their worst, a traumatic brain injury can cause death. When a brain injury victim survives, the range of disabilities and impairments that they have suffered may not be apparent until well after the injury occurred. Brain injury victims and their families often find it hard to wait for a long-term assessment of what must happen for the brain injury to heal because the medical bills pile up, and insurers may pressure them to settle the claim quickly, perhaps before they know the full extent of the damages. A Mississippi Brain Injury Lawyer can help you to find the middle ground between obtaining the financial recovery that you need right now and making sure that you get compensated for the full extent of your brain injury. If you were injured in an accident and you have a head injury, it is important that you get evaluated immediately. Prompt medical evaluation can lead to the detection of brain injuries that could otherwise remain unseen until serious symptoms appear, and it ensures that the victim can start treatment right away. Even if no symptoms are detected right after the accident, seeking prompt medical attention creates a medical record that can later prove useful if brain injury symptoms do develop. Brain injuries have profound impacts on the lives of the injured parties as well as the lives of their family members. Fortunately, when brain injuries are evaluated carefully, healing can begin right away and can continue in many cases to full or almost full recovery. 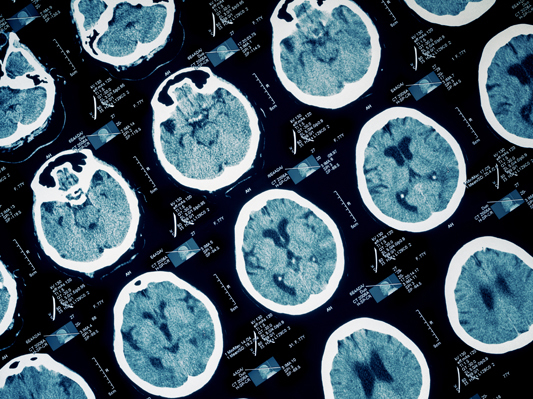 If you have a brain injury, or a loved one has suffered a brain injury, the Mississippi Personal Injury Attorneys at the Giddens Law Firm, P.A. may be able to help you. Please call our office today, at (601) 355-2022, to learn more.